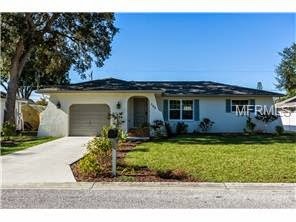 I ran across this Venice FL flip for sale in the MLS. Overall, this is a well-executed flip of a 2 bedroom, 2 bath home with large lot available for sale for $199,000, with city water and sewer. The home has new laminate floors installed throughout. It looks nice in the pictures, but I'm not a personal fan of laminate. Ceramic tile would have been a better choice. If you are flipping investment property, it's much easier to get a neutral tile that will appeal to more potential buyers. The kitchen is pretty close to a perfect "10". 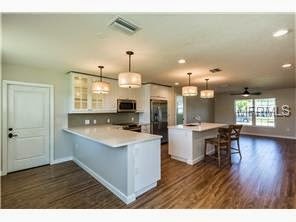 The lighting is a nice designer touch, and the white cabinetry and light color counter tops are excellent choices. 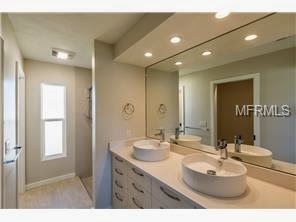 I'm glad to see that the seller opted for a muted tile backsplash. The open floor plan makes this 1,290 sq. ft. home see much larger. The bathroom successfully repeats the same winning formula as the kitchen: a simple white vanity and light colored countertop, with a couple of designer sinks, creating a memorable selling point with a neutral palette most buyers will appreciate. Note the curbless shower, a growing design trend. This home has a really nice-sized back yard. 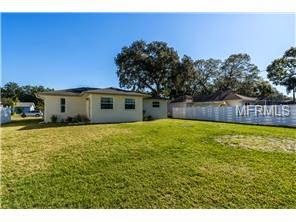 As with a previous analysis of a home flip in Sarasota, I would have recommended the seller put in french doors to open the home to the outside. This would make it easier for a potential buyer to imagine adding a pool or lanai, and would add value to the home. 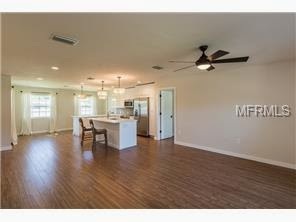 Overall, the seller has done a wonderful job with transforming this home into a modern residence. I think it's an excellent value and I would be happy to provide a tour. To view the property listing from the MLS, please click here. 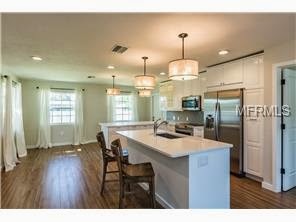 If you are thinking of flipping and selling your Venice, FL investment property, please contact me for a marketing and staging consultation.